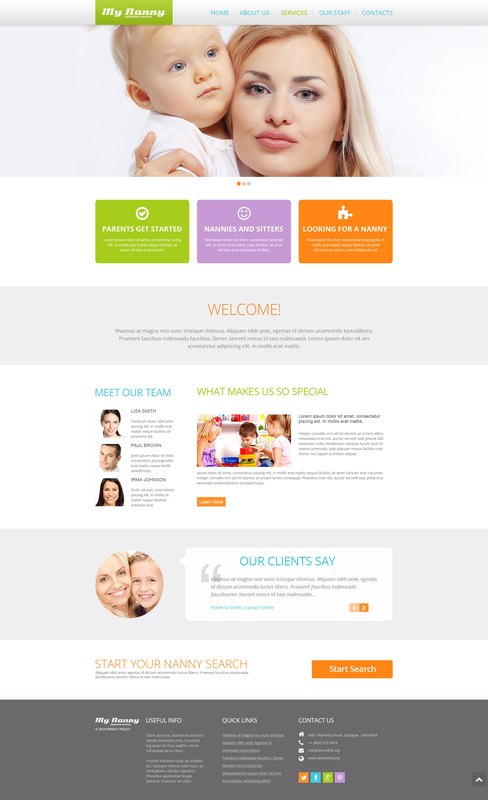 Consider this babysitting website theme to set up a well-managed website with a stylish layout and rich functionality. Present your nanny training, babysitting courses or babysitter services site in style with this cool housekeeper website web template. Building an online resource and granting your prospects a chance to check out the details on the subject of your venture on the go can be a excellent way of building up your customer base. Fully responsive page layout implies that your website will promptly adapt to any gadget and any display dimensions. Neat, valid coding and comprehensive guidelines will help you in adjusting this babysitter website design just how you want. Get this layout to get to more customers and lend your web resource a new look.